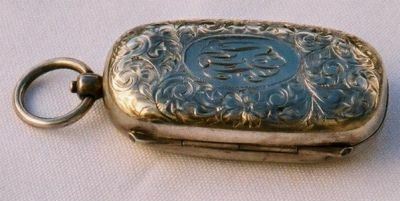 this is a sterling silver coin holder with double coin slot made in USA at the end of 19th/ beginning 20th century. 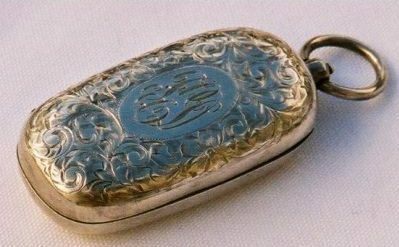 It has a large chain loop and an intricate flower and foliage chasing on the front with a cartouche with an interlocking monogram. 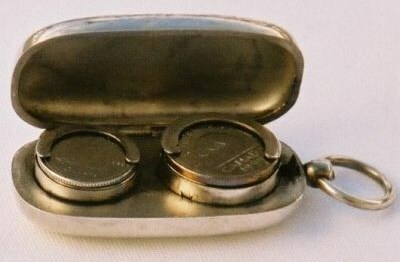 The coin holder measures 2 in. 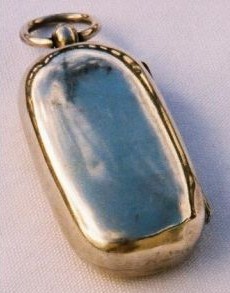 (cm.5) and was bought from an US dealer through the Internet.